We provide a whole range of cleaning services in Chester Hill to help residents and businesses with their routine home and office cleaning tasks. Backed with over 10 years of experience in the cleaning field, we are able to deliver top-notch cleaning services using state-of-the-art cleaning equipment, and safe cleaning solutions. Whether you require a regular cleaning for your house or workplace, or a one-off clean at the end of winter, we are happy to accommodate your requests as well as your schedule. Our cleaners are also available for next day visits, so if you need an earlier cleaning appointment, you simply need to book our services online. Everyone wants a clean home, but if you work full-time, and have a myriad of other things to do daily, organizing the house may not always be possible. If you are time-crunched or simply lack the energy to do the cleaning on your own, we are here to help. Our domestic cleaning service includes basic tidying, vacuuming of floors, and cleaning of living areas, kitchen and bathroom. If you are vacating a rental and need help in properly cleaning the place, you can count on our cleaning team to help. We are experts at performing end of lease cleaning, and will refer to your landlord’s cleaning requirements to ensure that the result will be satisfactory. Included in our vacate cleaning service are vacuuming and mopping all areas, cleaning bathroom mirrors and light switches, and scrubbing the shower walls. Let our professional vacate cleaners take care of the cleaning aspect of moving out, while you prepare your things, and make your transition to a new home. 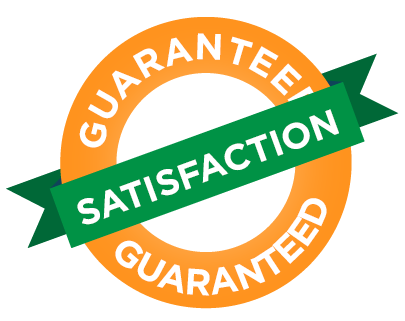 Our end of lease package comes with a guarantee that you will get your full deposit back. We will clean all kitchen appliances, wipe down baseboards, clean out cabinets, and dust all areas. With our apartment cleaning package, you can come home to a comfortable living space and bedroom without doing all the cleaning chores alone. You can schedule a weekly, fortnightly, or monthly cleaning for your apartment, depending on your specific cleaning needs. During the first visit, we will clear the bathroom of cobwebs, wipe clean kitchen appliances, dust window sills, and scrub the stovetop. On subsequent appointments, we will focus on sanitizing the toilet, cleaning splatters inside small kitchen appliances, and making the bed with fresh linens. Spring is the ideal time to open the windows and give a whole new feeling to the house. Many homeowners take this time to do some basic cleaning of their homes like dusting, vacuuming, and polishing. But if you want a more thorough cleaning for your abode, the best option is to enlist the help of Pristine Home cleaners who will wipe down your coffee maker and microwave, organize closets and drawers, and dispose of old toiletries. Our bathroom cleaning service is delivered by a team of highly-trained cleaners. We ensure that your powder room is cleaned the right way every time, so you can have a spotless clean bathroom that looks and smells refreshed. We start every cleaning visit by removing the trash, and placing dirty rugs outside. We then proceed to cleaning the area from top to bottom, taking meticulous care to remove any cobwebs and soap scum. You already packed your things, hired movers, and finalized your bills. Now what? Before leaving a rented property, you want to ensure that it is free from dirt and any type of clutter. To broom clean the place and return it to its original condition, book a move in and move out cleaning service with us where we sweep and vacuum all floors, clean surface areas, sanitize the laundry basin, and remove cobwebs. We are committed to provide long-term consistency for all our clients to ensure your complete satisfaction with our services. If there are any areas that our cleaners missed during a visit, just let us know and we will address the issue, FREE of charge. Tired of Cleaning Up After the Kids? 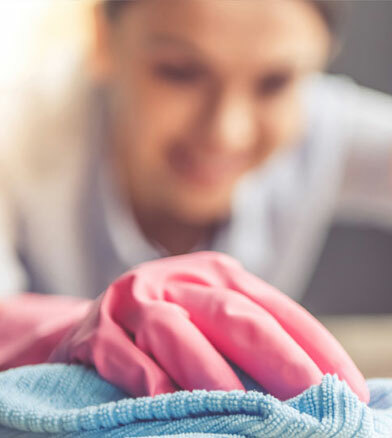 Maintaining cleanliness in the house at all times can be tough, especially when your schedule is filled with work and family responsibilities. Oftentimes, you will find yourself needing a break from all the tasks, so you can enjoy a little time for yourself. We understand how challenging cleaning chores are, which is why we offer our services at competitive prices to make them accessible to more people. By letting us deal with the house work, you can have more control of your time and spend it the way you wish. Whether you want to enjoy a short trip to the beach, or simply help the kids with their projects, you can have peace of mind that the cleaning chores are being attended to while you are busy collecting memories with your family. Our prices remain competitive with that of other commercial cleaning companies in Chester Hill. This way, you know that you are paying just the right amount for our comprehensive cleaning services. We don’t waste your precious time. Our team of cleaners work quickly and effectively to get your house looking and feeling the way you want it. We personally train each member of our cleaning team to ensure consistency and quality across our huge range of services. We only employ the finest character of person to work for us. We interview personally and conduct police checks for every employee to ensure your safety. Need to Have Your Home Cleaned? Booking a cleaning appointment with us can be done in less 60 seconds! Simply book a cleaner, approve the instant quote that will be displayed, and we will take care of the rest for you. Our customers continue to give us great feedback for the professionalism of our cleaning staff, and the quality of the services we deliver.